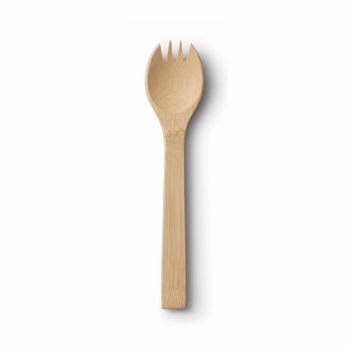 A reusable organic bamboo spork, by Bambu. 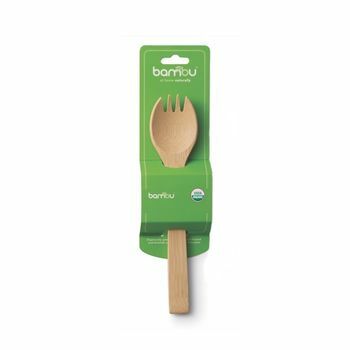 As the clever name suggests this handy little utensil is a cross between a fork and a spoon - perfect for out and about! This latest long handled version is handy for lunch boxes and for picnicking, and will soon become indispensable. Keep in your bag or at work for impromptu occasions. Made from a single piece of organically grown bamboo, which is hand shaped and finished with food safe oil. Bamboo is more durable than wood and is heat and stain resistant.